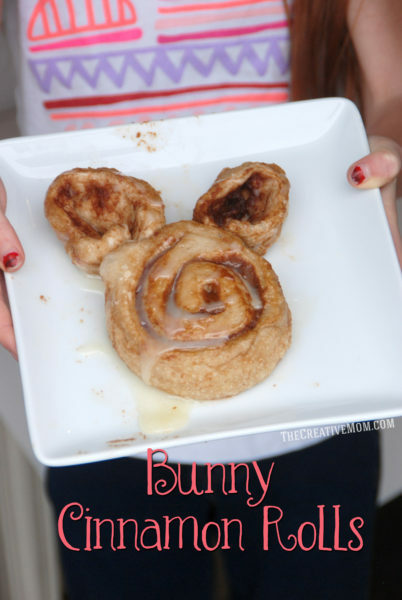 I’m so excited to share how my kids and I whipped up some quick and easy Bunny Cinnamon Rolls for Easter! This was so much fun for us to do, and with Rhodes microwave rolls, these little bunnies only took a minute (literally) to make! 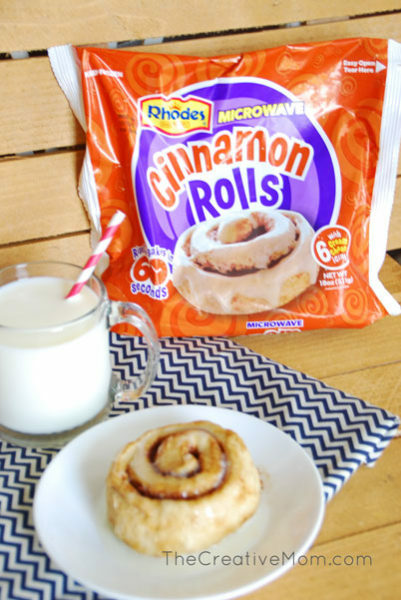 We love Rhodes microwave cinnamon rolls. I eat them with a glass of milk for breakfast, or even for a quick afternoon snack. They are sooo fast, and really yummy! You’ll need 1 1/2 cinnamon rolls for each bunny. 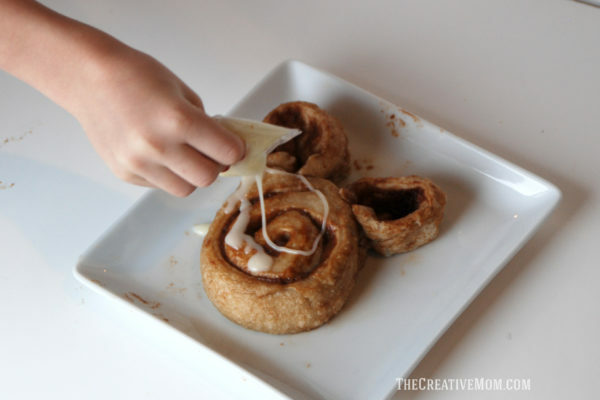 All you do is unroll one cinnamon roll and break off about a 2 inch long piece for each ear. 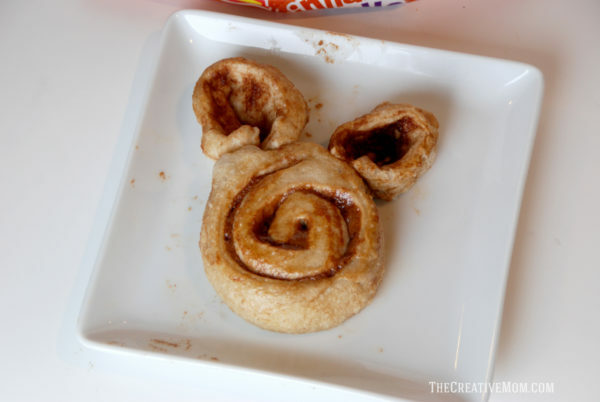 Then fold the piece in half, and stick it onto the cinnamon roll, so it looks like bunny ears. 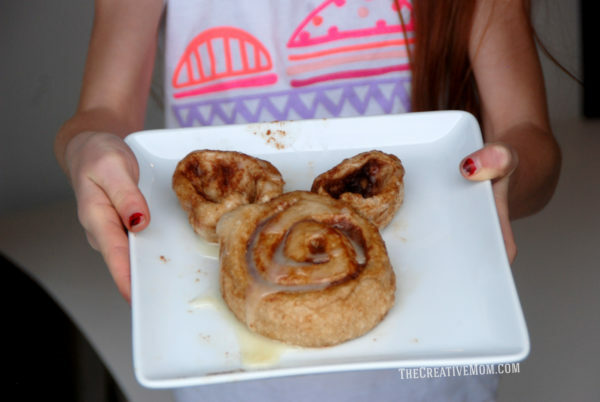 Before I started working with my cinnamon rolls, I put them in the microwave for about 20 seconds, just so they weren’t too frozen to unroll and shape into bunny ears. After you’ve shaped your bunny, microwave your cinnamon roll for 60 seconds. Then squeeze your icing onto your bunny, and enjoy! They really are so cute and fun. If you wanted, you could even add some chocolate chip eyes, or some marshmallow bunny teeth. Your kids are bound to love these as much as mine did. And they are just perfect for Easter! 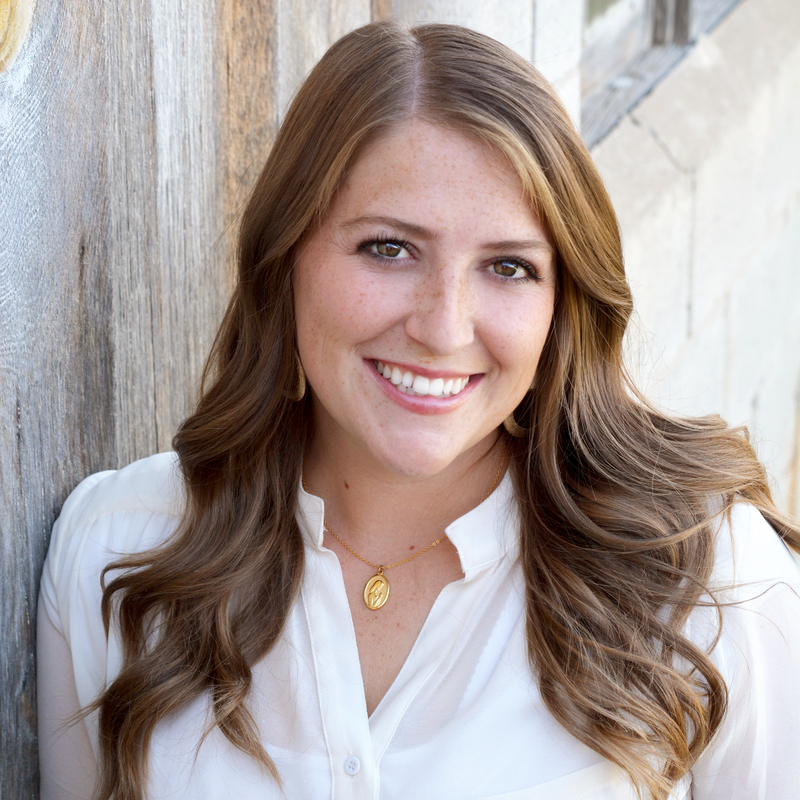 Please visit my blog, The Creative Mom, where I share DIY and home projects, as well as recipes your entire family will love.